Since the June 2016 referendum, Brexit has preoccupied the minds of many within Northern Ireland’s political, business and media circles. Now, a LucidTalk poll has revealed the extent to which it has filtered into the public consciousness and influenced subsequent voting intentions. At face value, the most recent LucidTalk poll is significant in that, with specific reference to Brexit, it records a plurality or a relative majority in support of a united Ireland. The impact of the Brexit referendum and subsequent negotiations have undeniably melded with the stagnation in devolved government to bring an abrupt halt to a period in which nationalism had been regarded as eking out at a low ebb. That said, an opinion poll will remain just that until the point when the questions it poses are put through the rigours of the democratic process. The stated objective of the poll, commissioned by the European United Left–Nordic Green Left (GUE/NGL) group in the European Parliament, was to “research Northern Ireland opinions and views based on certain specific scenarios relating to Brexit” and all seven poll questions were “proposed, promoted, and designed by the GUE/NGL”. The final results of the polling, conducted over a period of 80 hours between 1-4 December, were weighted by gender and community background to reflect the demographic composition of Northern Ireland, resulting in 2,079 responses being considered in the final results. 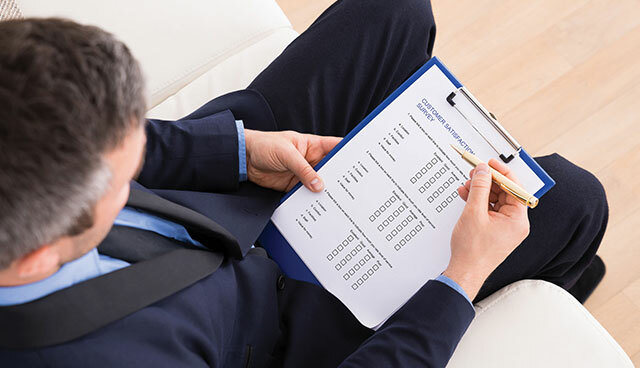 All data results produced are accurate to a margin of error of +/-3.0%, at 95 per cent confidence. The results revealed a slim relative majority of 49.2 per cent of respondents felt that “there should be a referendum i.e. ‘border poll’ on staying in the EU through re-uniting Ireland in the event of a ‘hard Brexit”, compared with 48.2 per cent who disagreed and 2.5 per cent who did not know or had no opinion. In response to this question, 94.5 per cent of nationalists and 60.3 per cent of others were in favour of a border poll while 95.1 per cent of unionists and 30.5 per cent of others disagreed. 58.7 per cent of 18-44 year-olds were in favour of a border poll, compared with 57.7 per cent of 45+ year-olds who were opposed. A total of 57.8 per cent of those polled confirmed that they felt that “Northern Ireland should have some form of special or unique status that would mean that [it] stays in the EU customs union and the EU single market and therefore avoid a hard border”. This broadly mirrors the Northern Ireland vote in the Brexit referendum when 55.8 per cent voted for the UK to remain a member of the EU. Support for special status was most prevalent among nationalists (97.7 per cent), others (87.7 per cent) and young people (65.4 per cent), while only 12 per cent of unionists supported the concept. Likewise, only 9.4 per cent of respondents who identify as British indicated support for special status, compared with 96.8 per cent who identify as Irish. In addition, 75.8 per cent of respondents agreed that, “in the context of Brexit”, EU standards should be maintained in relation to food safety, environment and consumer standards. A majority of 52.4 per cent also believe that there will be a decrease “in terms of the rights that people enjoy” post-Brexit. 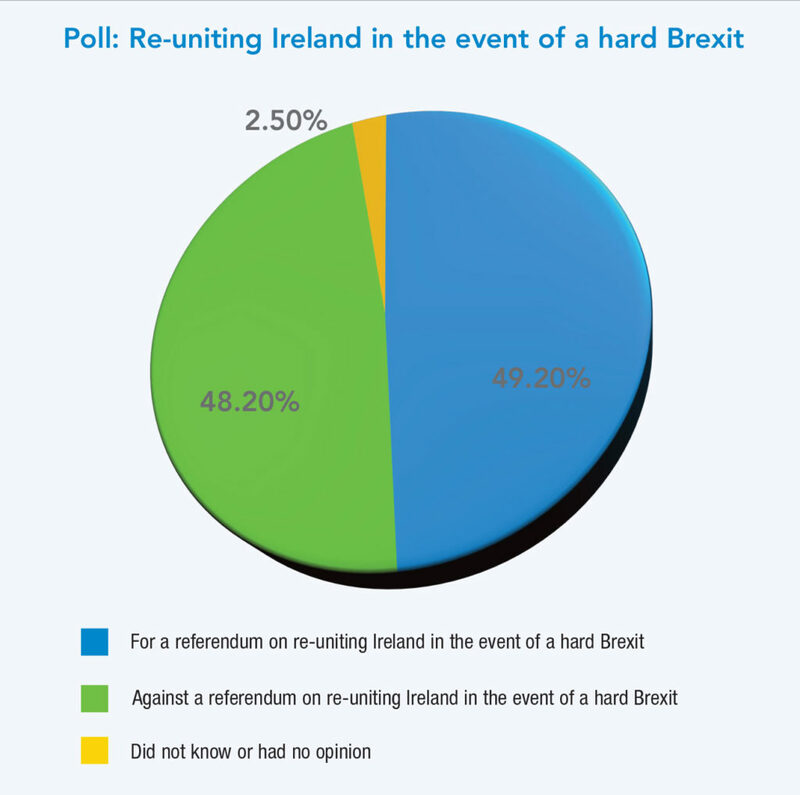 47.9 per cent of those polled (a relative majority) responded: “Remain in European Union by joining the Irish Republic [sic] in a United Ireland”. 45.4 per cent chose: “Leave the European Union by staying in the United Kingdom” and 6 per cent were: “Undecided, but I would vote in a Northern Ireland border poll”. Predictably, the 94.5 per cent of nationalist party supporters advocated the united Ireland option, along with only 2.2 per cent of unionists. At the same time, 95 per cent of unionists would vote to remain the UK, along with 1.9 per cent of nationalists and 14.5 per cent of others. Most notable in the poll’s final results is a latent pro-EU sentiment among the majority of ‘other’ voters in Northern Ireland to the extent that they would favour a united Ireland in order to maintain the membership. A majority (59.6 per cent) indicated their preference for remaining in the EU by joining the Republic of Ireland, while just over a quarter (25.1 per cent) were undecided but would vote in a border poll. Likewise, a greater number of 18-44 year-olds (57.1 per cent) indicated support for remaining in the EU through a united Ireland in the context of a hard Brexit, contrasting with a majority of 45+ year-olds (54.4 per cent) who favoured leaving the EU and remaining in the UK. Meanwhile, the two largest parties appear to be have been vindicated in adopting their entrenched positions in the post-Executive-collapse vacuum. As the stasis remains intractably intact, the poll asked respondents to list their first preference vote if there was a Northern Ireland Assembly election ‘tomorrow’. The data indicates that both the DUP and Sinn Féin have solidified their dominance with 33.7 per cent and 32.8 per cent respectively. This suggests a 0.7 per cent increase in the DUP lead since the 2017 Assembly election when the party secured a 28.1 per cent share of the vote compared with Sinn Féin’s 27.9 per cent. Meanwhile the, UUP, SDLP and Alliance polled 8.9 per cent, 8.6 per cent and 7.9 per cent respectively (each down when compared with their Assembly 2017 performances of 12.9 per cent, 11.9 per cent and 9.1 per cent).